When you’re a political person and you’re engaged in the social network you often find yourself sparring with others whose own beliefs clash with yours. That’s the back drop of how I found myself going heads up with a rabid Ron Paul supporter. Things got real, real quick. Paulinistas are passionate defenders of their boy. I work with some and they make for great debates, but sometimes I think they’re living in a separate reality same as Paul. You have to admire any politician who tells you exactly what he thinks and doesn’t care what you think about it. I watched Paul at a debate in 2008 that was sponsored by Tavis Smiley at a Black university. All the big guns skipped the debate (Romney, McCain, Giuliani) leaving it to Paul and non-entitites like Tom Tancredo, Sam Brownback and Duncan Hunter. Paul stole the show. The audience applauded loudly when Paul said he would end the War on Drugs, but booed just as loudly when he said a President Paul would have nothing to do with the genocide in Darfur. Give Paul credit: he doesn’t tailor his message to please a specific crowd. But he’s still unelectable. I will always regard his opposition to the 1964 Civil Rights Act as a deal breaker. It’s hard to interpret Paul’s position on this matter in a kind light. During the last campaign season, James Kirchick revealed in the pages of this publication that in the late 1980s and early 1990s Paul had published newsletters under his name containing rank bigotry against African Americans and gays. Paul claimed he did not write the columns in question or even know about them. Whether you believe that or not, the newsletter scandal highlighted Paul’s longstanding ties with figures, such as Lew Rockwell, with a history of catering to racist and nativist sentiments for political gain. "Can you believe I get away with saying this crazy stuff?" When you’re the publisher it’s pretty much a given that the positions expressed in your publication reflect your positions. Doesn’t work that way. A publisher is responsible for the content that goes into the publication. If the editor is pushing material that runs contrary to the publisher’s beliefs that’s an editor that needs to be fired. Ron Paul didn’t do that. He didn’t run any retractions. He didn’t apologize for the racist drivel that ran in his newsletter. PAULINISTA: What amazes me is the same people who said he was crazy in 2008 for his anti-war, economic and Drug War views, who claim he’s unelectable today, who claim he can never recover from his loose association with a racist, are ignoring a very recent similar example. I think people are mostly pissed that he’s actually manned up and refuses to throw his version of Rev. Wright under the bus by naming him. But we do know some things about the author of those rants. We know that Ron Paul didn’t set in a pew every Sunday for 20 years nodding sagely at the wisdom of the rants of the author of those articles. We know that Ron Paul has never claimed the author of those newsletter articles was “a close spiritual adviser for over 20 years. Trying to make Ron Paul taller by cutting down Barack Obama isn’t the best way to sell Ron Paul. When you can come up with a series of racist and homophobic articles that Barack Obama gave his tacit approval to when he was the editor of the Harvard Law Review, maybe you’ll have a point. Right now, you don’t. It isn’t “manning up” by refusing to distance yourself from a racist buddy. What it says is even if Paul doesn’t hold those views personally he’s comfortable with those who do. That’s not the kind of person that should be appointing Cabinet members and nominees to the federal judiciary. You can’t claim to be free of racism and protecting racists within your inner circle. Jeremiah Wright has had zero presence in the Obama Administration. Where would Paul place his bigoted buddies? Running the Justice Department Civil Rights division? PAULINISTA: I go more on his voting record, the fact that there are no racist comments anywhere directly attributable to him, and statements like that from Austin NAACP President Nelson Linder, who’s known Paul for 20 years and said the charges were unfounded, or Wolf Blitzer, who expresses his open disbelief based on his knowledge of Dr. Paul in the interview I linked. Or maybe the word of Steward Rhodes, a Hispanic former staffer, is worth noting. I’ll go on Paul’s voting record too and according to the NAACP scorecard he has accrued a mixed record of only 39% on civil rights issues such as affirmative action, which Paul opposes. According to the NAACP’s most recent civil rights legislative report card for the 112th Congress (2009 – 2010), Ron Paul compiled an impressive 8 percent voting record on issues of interest to the nation’s oldest civil rights organization. Maybe they should have called up Mr. Linder to see if he could put in a good word for his old buddy of 20 years. It might have inched that number up to 10 percent. PAULINISTA: It’s also worth noting that in the many books that Ron Paul has written the only time he talks about blacks is to praise MLK, Rosa Parks and to condemn economic policies that he thinks are adversely affecting blacks. His oratory on the War on Drugs always emphasizes the over-prosecution of minorities as one of the big sins of the War. Overall, hardly the record of a Strom Thurmond, Al Gore Senior, George Wallace, or Robert Byrd, just to note a few. It’s also worth noting Paul has made it clear he would have voted the same way as Thurmond, Gore and Byrd did to oppose the 1964 Civil Rights Act. Just as Paul voted against the Martin Luther King Jr. Holiday (though he did choose the holiday as an occasion for one of his “money bomb” fundraisers). Just as Paul voted against awarding Rosa Parks a Congressional Gold Medal. He did offer to kick in $100 to pay for one. What a big-hearted guy! Beyond Paul’s support on ending the War on Drugs (and people of color) there’s little to support the suggestion he’s the right man on race. His platitudes to King and Parks are rendered empty by his votes against them. Calling out the opposition of dead Democratic Senators from the South to the 1964 Civil Rights Act might play better if Paul and his idiot son weren’t endorsing the same historially indefensible position (because property rights supersede civil rights). Taking “responsibility” for racist and homophobic material submitted in your own newsletter isn’t responsible while you continue to refuse to distance yourself from the racists responsible. Ron Paul is no Barack Obama when it comes to disavowing a friend who espouses repugnant thoughts and spews hateful words. That’s the problem. When you strip away the rhetoric, the rubber doesn’t meet the road with Paul and his supposed color-blindness. It’s more like color blinders. There are some things Ron Paul thinks are great ways to spend money. He says Abraham Lincoln was wrong to have waged the Civil War with the South and there was a better way to free the slaves. The government should have bought the slaves instead. PAULINISTA: His voting record is consistent as well. Article 1 Section 8 guides his votes, and there’s a whole crapload of stuff that everybody wants that’s not in there. He votes against handouts for corporations as readily as he votes against any handout. That’s why he’s named Dr. No. I can agree with you on that. He says “no” to the 1964 Civil Rights Act. He says “no” to affirmative action. He says “no” to U.S. involvement in trying to prevent the genocide in the Sudan. He says “no” to a woman’s reproductive rights. He says “no” to repealing Don’t Ask, Don’t Tell. “No” to stem cell research. “No” to modifying bankruptcy laws to avoid mortgage foreclosures. “No” to gender-equal pay. “No” to allowing shareholders to vote on executive compensation. “No” on $84 million in grants to Black and Hispanic colleges. “No” to enforcement of anti-gay hate laws. He even said “NO” to establishing a nationwide AMBER alert system for missing children. Paul does say “yes” to some things. He says “yes” to guns as his A+ rating from the NRA indicates and “yes” to taking away a woman’s right to an abortion. That’s your “Dr. No” and you can keep him. PAULINISTA: You can keep the pretty boy with the peerless pedigree and the condescending smile every time someone asks him when we’re gonna stop killing our children in the streets over herbs, or innocent civilians in foreign lands over oil, and who thinks the Patriot Act is just groovy and every president should have the power to assassinate American citizens. I’ll go for the political pariah who actually proposes to change those things. Because some Americans can see that the Barack Obama of tomorrow is the Barack Obama of yesterday… and so, in large part, are Rick Perry, Mitt Romney, and Sarah Palin. Yeah, the political pariah wants to change things alright. The problem is he wants to change things back to when restaurant owners could refuse service to a customer because they had the wrong skin color or to when women had to risk their lives to end an unplanned pregnancy or gays stayed nice and quiet locked in a closet or to a time when America walled itself off from the world in paranoid isolationism. As his recent crazy talk about FEMA as Hurricane Irene approached indicates, you are absolutely right: Ron Paul wants to change America. He wants to change it back to 1900. Ron Paul's Black support. Singular, not plural. ← Can Obama Get Off the Mat? He said buy the slaves AND RELEASE THEM. Did you miss that part, Einstein? If Ron Paul had been in Congress (maybe he was–he’s kinda old) when such an idea was actively floated he would have voted against it saying it wasn’t in the Constitution. By the way, Einstein was White and Jewish. I’m neither. Just wanted to point that out. There lies the problem. Because if I can buy a human being and property rights win over civil rights (or basic human rights) then I can chose if and when to release said human being, not to mention that the act of buying or trading in human life diminishes it. Is the brother in the picture the one you corresponded with? Whoever it was, he ended trying to deflect back on Obama, which means he folded. Jeff deflected first by attacking Ron Paul and did so again in his closing statement. The other guy was perhaps not correct in stooping to Jeff’s level but neither Jeff’s attack nor his stooping invalidates that Ron Paul votes the Constitution as should every elected member of Congress. What everyone seems to forget is if it is not Constitutional to do something then the proper method of change is under Article 5 and passing an Amendment with the majority of the States ratifying it. It wasn’t his newsletter, it was a newsletter that he leant his name to. He was not involved in the production of the newsletter. Since the incident he has stopped lending his name out in such a manner. 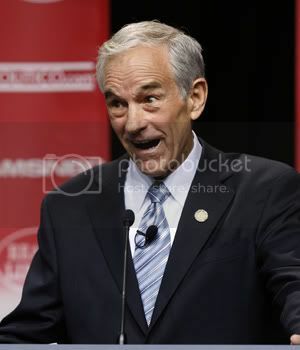 Ron Paul is a prolific writer who tends to reiterate his beliefs over and over again in his writings. He had never written anything like the newsletter before the newsletter, nor has he since. Therefore, there is no reason to not believe him. He didn’t write it. Period. Let it go. Ron Paul supported desegregation of government institutions but was against imposing the same laws on private businesses because doing so would increase government power. And because both parts are in the civil rights act, he would have voted against it. This does not make him a racist. It makes him an idealist who sticks to his priciples and applies them accross the board no matter how unpopular. And no he does not want to repeal the Civil Rights Act, as that would be a collosal wast of time. The first thing he would do is end the Bush/Obama wars. Why not list some of the recent civil rights legislation that Paul voted no on. I can garuntee that he did so because they increased government power. Yes Paul voted against giving a congressional metal of honor to Rosa Parks. He votes against ALL congressional metals of honor including one for Mother Teresa. Why? Because he does not believe that congress has the authority spend the People’s money without the consent of the People. He did however offer to put up $100 of his own money for Rosa Park’s metal, and asked the other members of congress to do so also. They all declined. Oh, and I’m Black and I support Ron Paul. It’s fine by me that you’re Black and support Ron Paul. Those aren’t two mutally exclusive things. Here’s the thing: if Ron Paul lent his name to a newsletter, he can’t distance himself for what was published in it. HIS name was the selling point of the newsletter and if he didn’t agree with the racist sentiments he should have taken his name off of them. He didn’t. It really doesn’t matter what Paul has written before or since. He’s way too comfortable around racists for me. I know Paul supporters wish people would “let it go” but Paul hasn’t even distanced himself from the author of the racist entries. You don’t need to explain Paul’s stance against the Civil Rights Act. It’s been invalidated and repudiated by historyy. His idealism really doesn’t matter to me. Ideals that are bad ones don’t become good ones simply because someone hangs on to them after it’s been demonstrated they are unworkable. Paul is wrong on the Civil Rights Act and wrong in his belief Southern segregation would have faded away without the federal government involving itself. Martin Luther King said, “It’s true that a law can’t make a man love me, but it can stop him from lynching me, and that’s pretty important.” Whether Paul is being naive or stupid about segregation and racial discrimination, I can’t say. I can say his way would have made life worse for Black Americans. Ah yes, Ron Paul voted against the Rosa Parks medal and the King holiday, but he’s happy to throw in $100 bucks to buy her one. Whatta guy! Paul can praise what Parks and King did on one hand, but when it comes to honoring them, “Whoa. Is that in the Constitution? The right fo Black people to vote wasn’t in the Constitution either. How’s Ron Paul feel about that? “That is such a fascinatingly deranged perspective I could watch that clip all day long and wonder,”??? Nearly every other country in the world ended slavery without shedding blood doing exactly what Ron Paul described. They bought the salves and freed them.